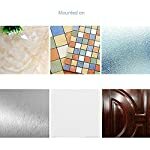 1.Clean the surface, ensuring it’s clean and dry. 2. 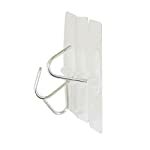 Reusable and Durable – The adhesive hook still can be moved from wall to doors or anywhere without surface damaged. Still work even after washing. 3. 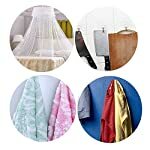 Super Adhesive – The wall hooks is with strong adhesive, but the remains is easy to clean. 4. 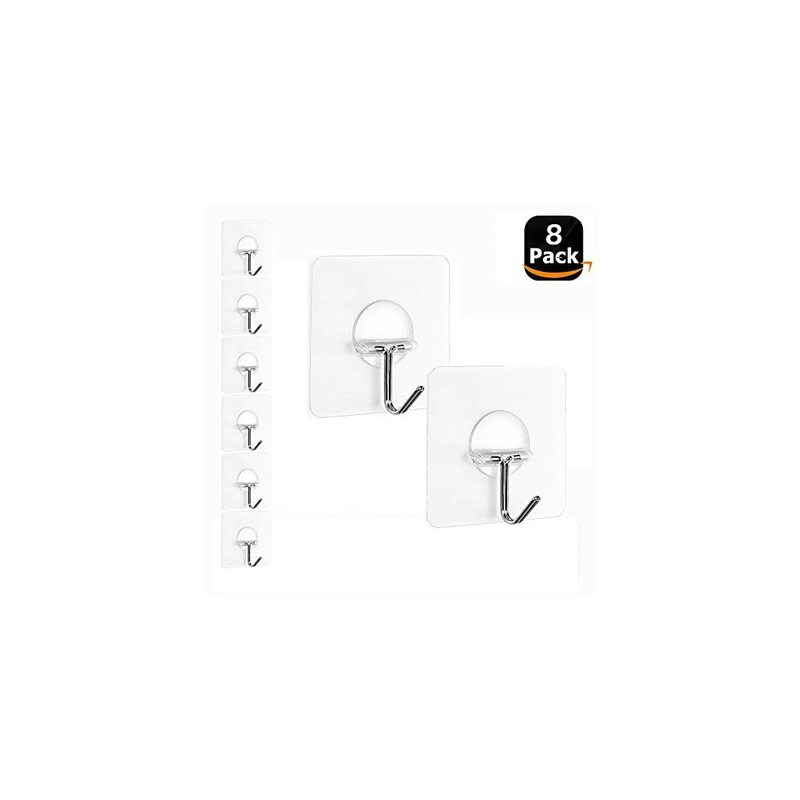 Stainless Steel – The transparent hooks are made by stainless steel. Almost traceless and invisible. So it won’t get rusty even splashed water, ensuring quality and longevity. 5. 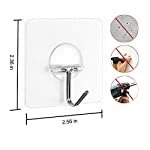 Easy to Mount – Nail free. 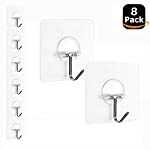 The nail free wall hangers can be mount on the wall for coat, the door for keys or school bags, the bathroom for towels, the kitchen for pans.